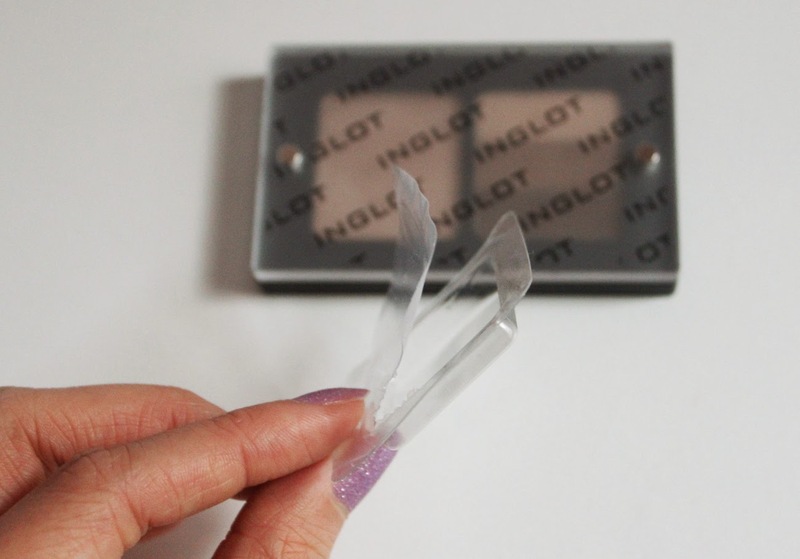 Additions to My Inglot Eyeshadow Stash: A Duo or Quad? 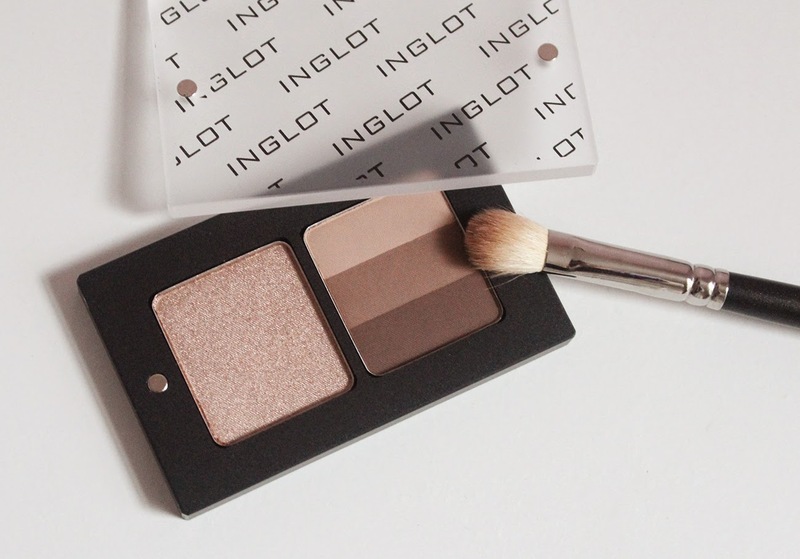 Inglot is one of those makeup brands that was hyped up for a period of time only to be forgotten by beauty bloggers and Youtubers a few months later. I purchased my first 10 pan palette exactly four years ago when it cost $50 and was only available in the elusive Inglot free standing stores. Now it's $86 for the 10 pan palette and available online and even at Macy's. I've been meaning to build another Freedom System eyeshadow palette with some matte neutrals and finally willed myself to go to Macy's and spend a gift card that I had been saving. My main purpose for building this palette was so I could have a few staple mattes for traveling. I find most palettes to be too bulky or lacking in matte shades for the crease and outer corner so I wanted a small compact that I could pair with other shimmery singles or duos. 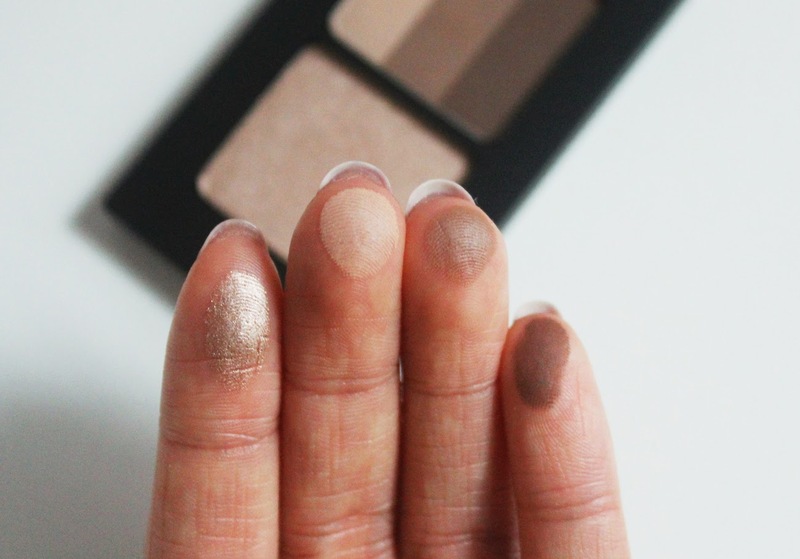 The Inglot Rainbow Eyeshadows are a fantastic space saver because it feature three shades in a single pan. These hold 2.5 grams of product and cost $9. 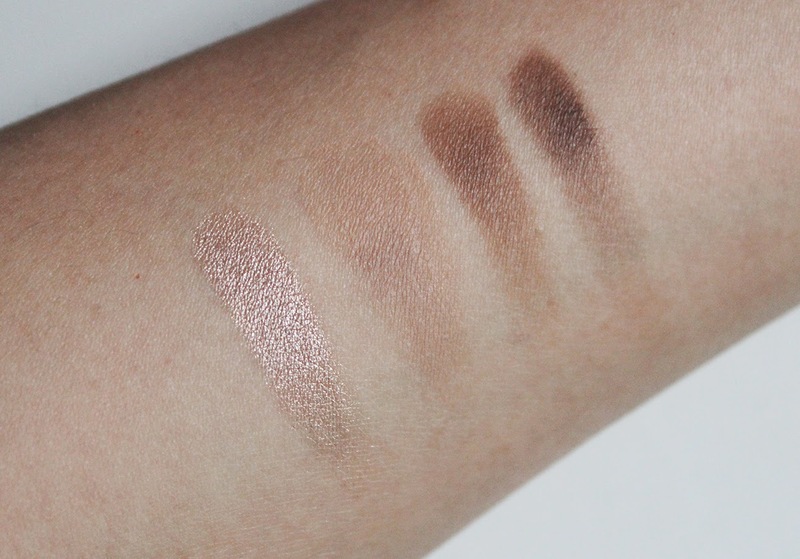 I chose the shade 107, a trio of brown neutrals that will be perfect for a simple eye look. I could even use the darker shades to fill in my brows. For my other pick, I went for a shimmery beige called AMC Shine 154. The regular pans cost $7 each and the AMC Shine shadows contain 3.2 grams. The palette itself cost me $8 so in total this duo (or quad) was $24. The shimmery beige is a beautiful all over lid color with a slightly metallic finish. It is not glittery whatsoever and swatches smooth and buttery. The matte shadows are also pigmented and smooth but not nearly as buttery. They lack the rich, blendable texture that I've felt in Tom Ford or Hourglass' matte eyeshadows. You can see how the color kind of sits where I started swiping my finger whereas the shimmer shade blends out more evenly. But considering the price for three shades, I'm still very pleased with these. Another thing to point out is that for some reason I never thought of taking a magnet from my fridge to pop out the shadows from the palettes. I did a whole post about how I used a small pin to depot my first palette since the sales assistant placed my shadows in without asking me how I wanted them. This time around I asked the sales assistant if they sold a special magnetic tool to get the shadows out. She told me any magnet would do and it hit me that while I've tried the whole lid trick as some people have showed online, I don't think I've ever come across someone who suggested just using a strong magnet from your fridge. Well, lo and behold, I had a pretty strong magnet and it did the trick! So now I can interchange the shadows I already had into my duo palette for travel! Let me know if I was the last person on the planet to think about using a regular magnet.... I honestly love this mechanism for keeping the shadows in the palette because it's so seamless and clean rather than having wells or pop-out mechanisms. What do you think of Inglot's Freedom System concept? Have you tried any of their eyeshadows?